If you're a big fan of Mercato Centrale and Midnight Mercato and you are always on the hunt for something new, they be good deals or unique cuisine, then you're going to love this. The brains behind Mercato are bringing this wildly popular market experience to the south via Soderno @ Molito. So bring your recyclable bags and head on over to Soderno located at Commerce Avenue corner Madrigal Avenue Alabang, Muntinlupa beginning November 18, 2011. Just in time for the Holidays. Yay! We are going to have loads of fun. Choose your poison. 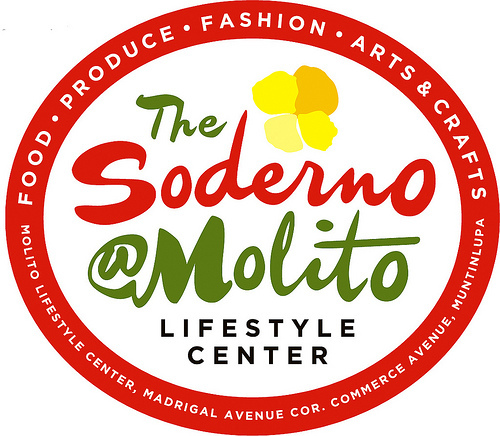 Soderno is a lifestyle market every Saturday from 7AM to 4PM, an organic market every Sunday from 7AM to 4PM, and a night market every Friday and Saturday from 6PM to 3AM. For more information about Soderno @ Molito, please visit: http://www.ourawesomeplanet.com/awesome/2011/09/soderno-at-molito.html. Like Soderno on Facebook at: http://www.facebook.com/soderno.